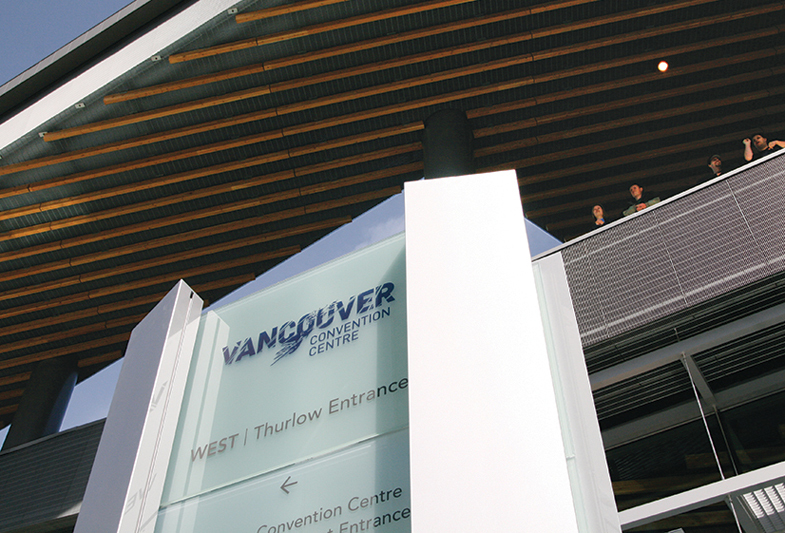 Built on Vancouver’s waterfront, the Vancouver Convention Centre first served as the Canada Pavilion for the World’s Fair Expo in 1986. 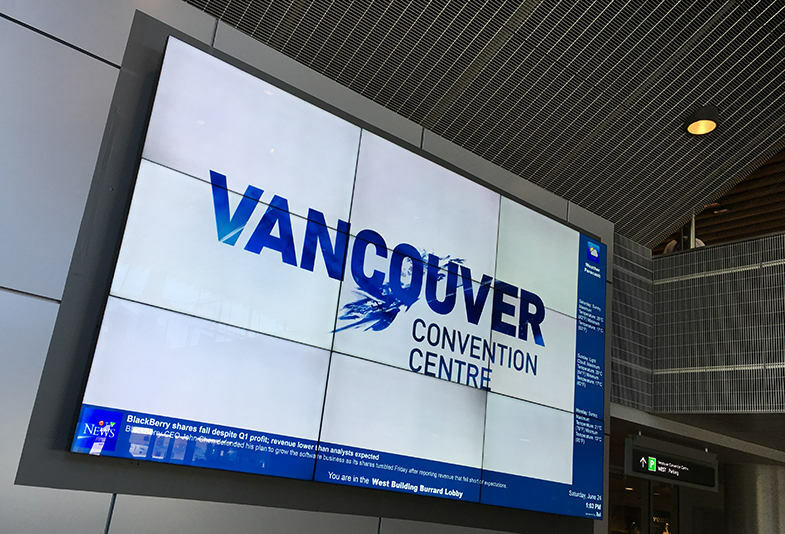 Since then, it has become recognized as one of the world’s leading convention centres. 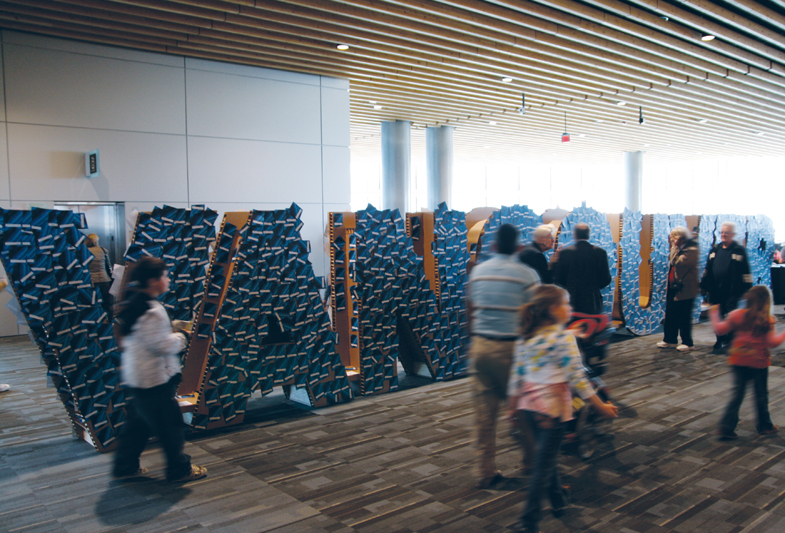 With enough capacity to host over three hundred events annually, the expanded facility has won numerous awards for environmental sustainability and boasts one of the most unparalleled views in the world. 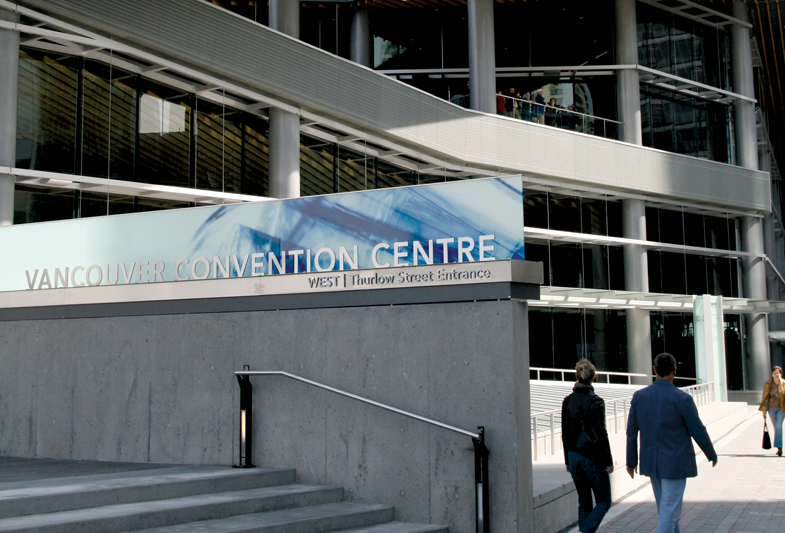 When people come to conventions, more than anything they come to get inspired. 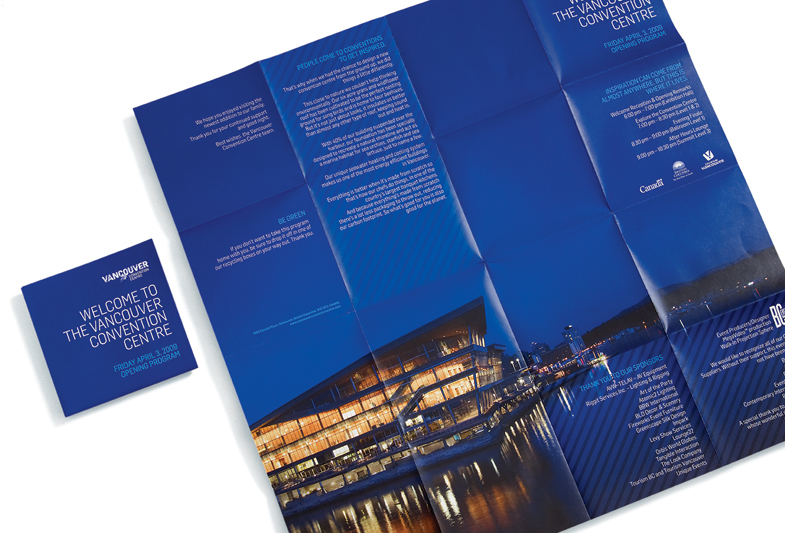 We took the opportunity to create a new convention centre brand that defied current ‘conventions’ to focus on being inspirational. 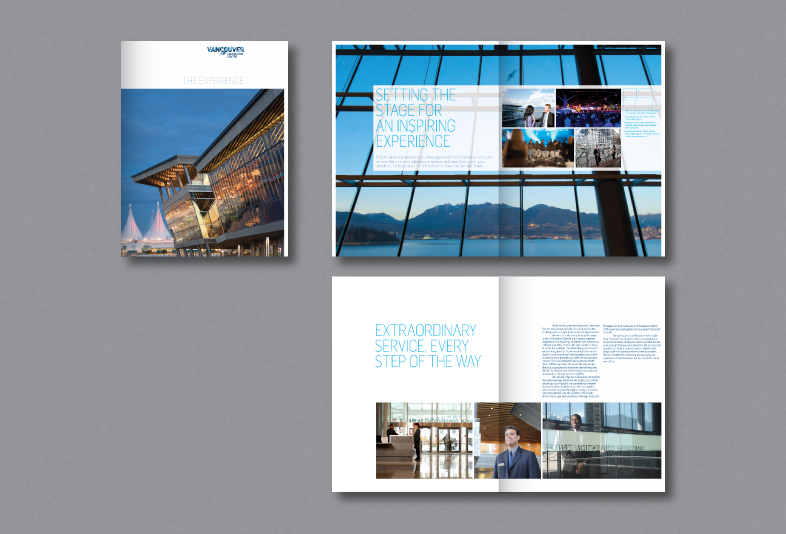 Rather than the usual literal architectural or place-themed logo, we developed an identity system that is evocative of the unique feeling experienced in the building. 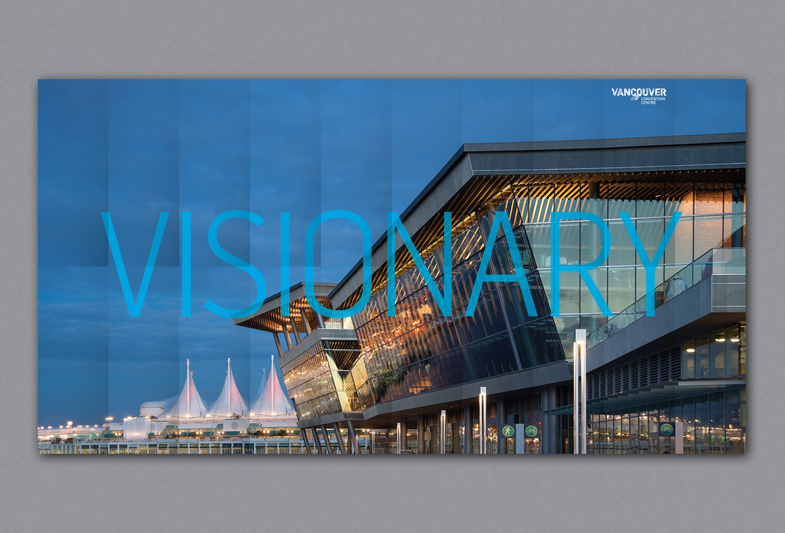 The photography-based logo prominently features the word VANCOUVER to emphasize that the brand is much more than just a facility and reflective of the entire city experience. 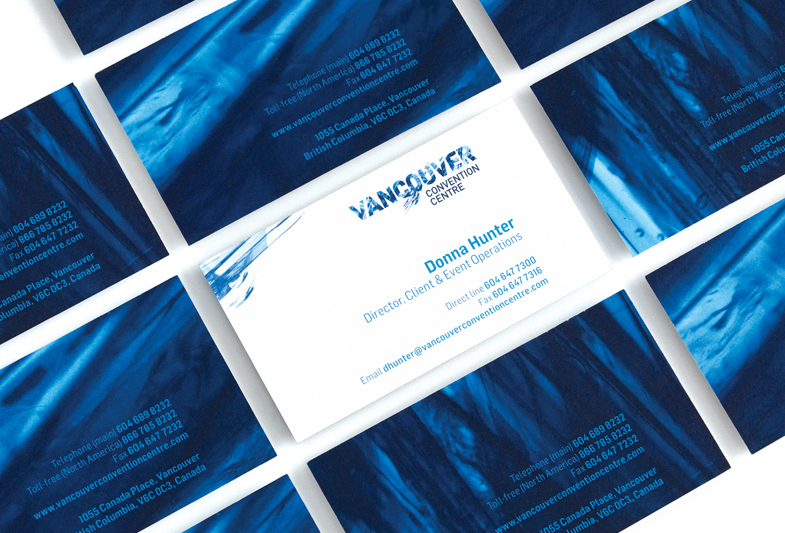 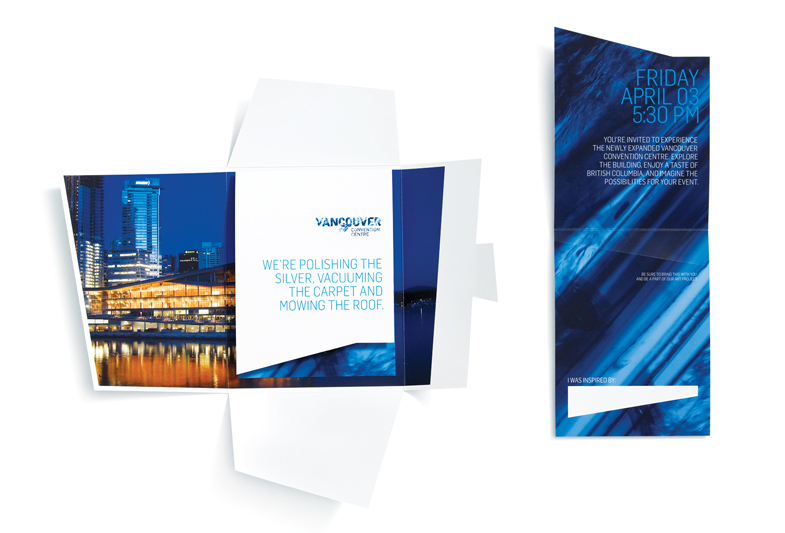 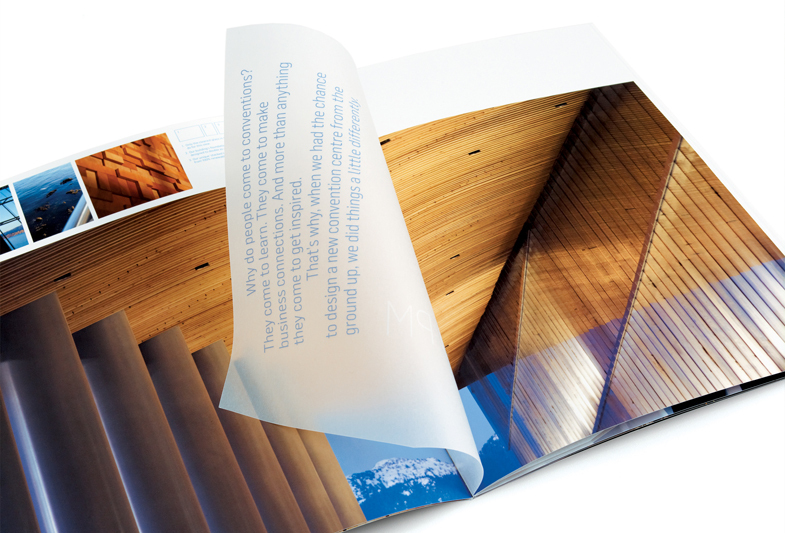 With angular and layered images of water, light and glass, the identity implies both the spacious, modern feel of the building and its spectacular surroundings, and became the perfect creative foundation for a wide variety of collateral and communications. 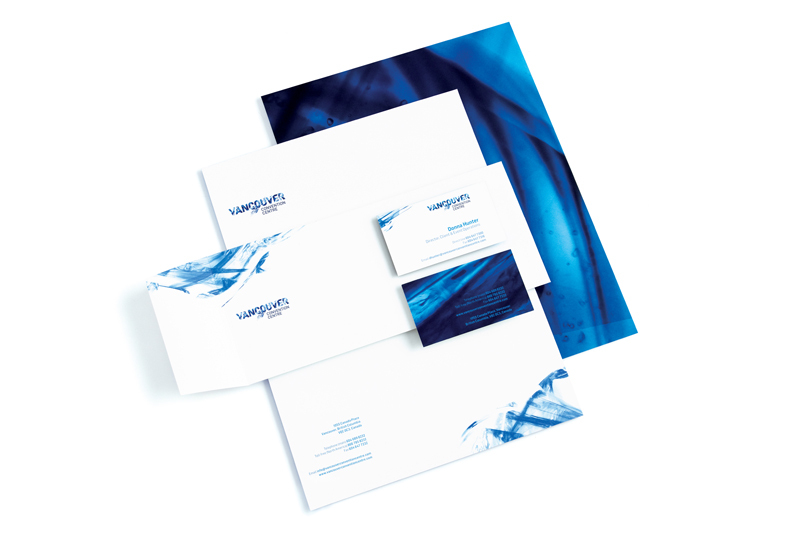 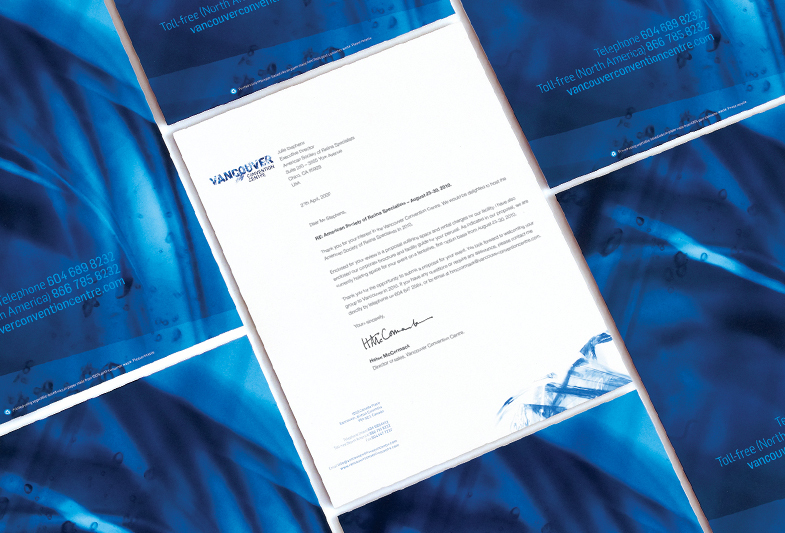 The new brand seamlessly permeates all consumer touch points, from the new logo, print materials and website, to tactical direct mail, print and online ads, social media and more. 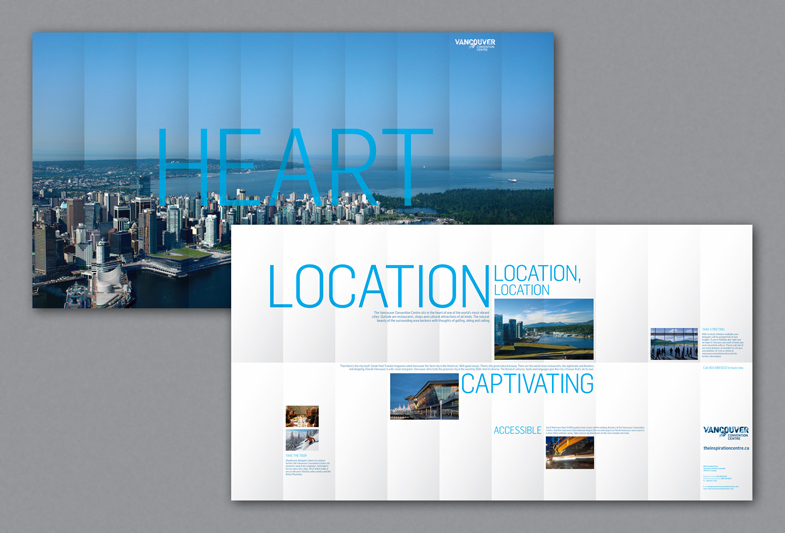 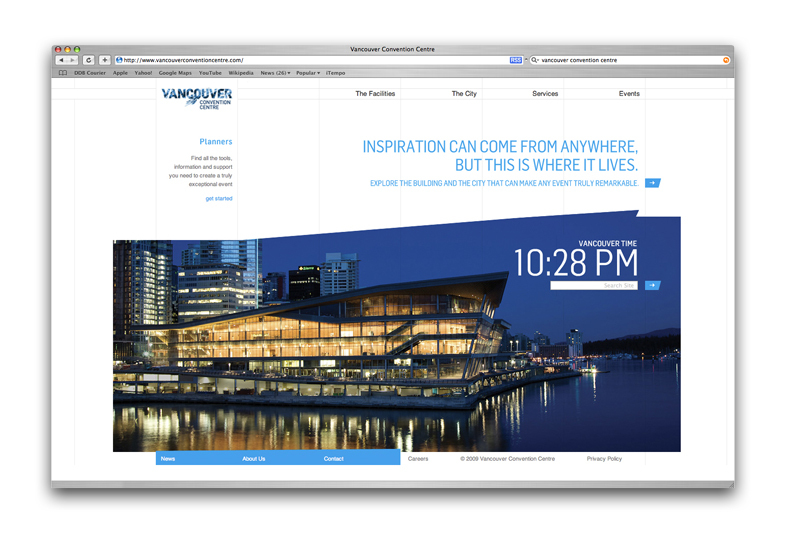 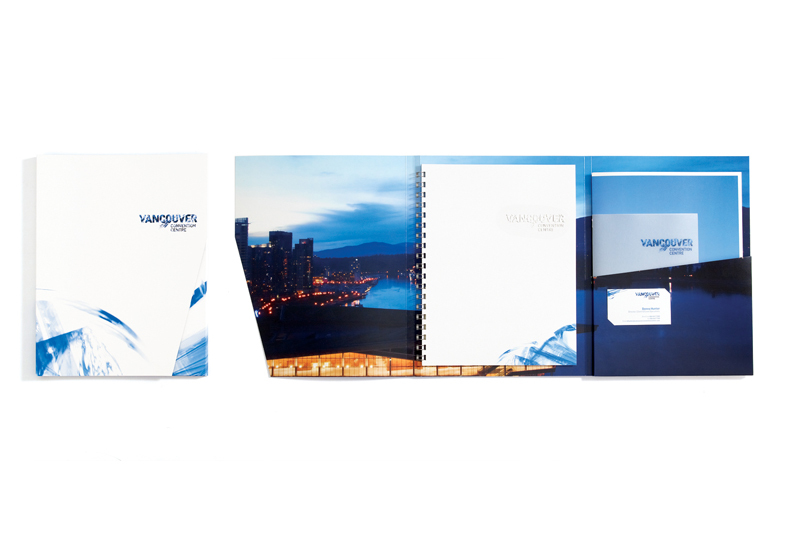 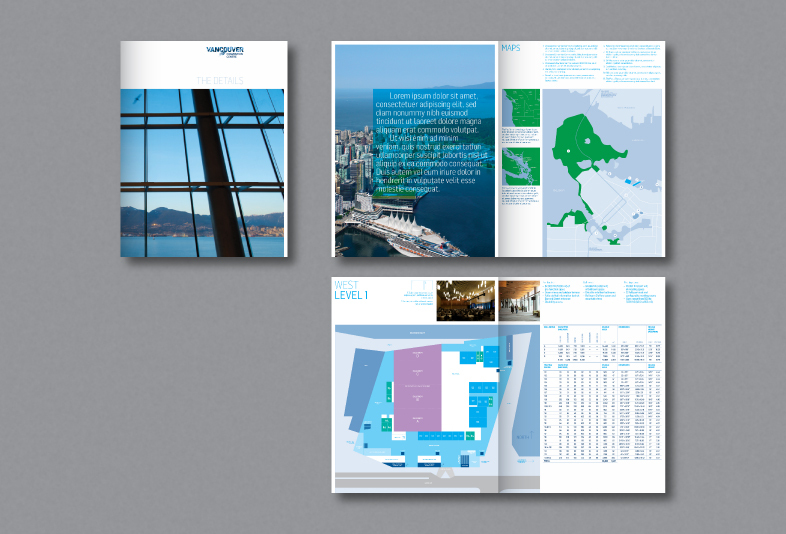 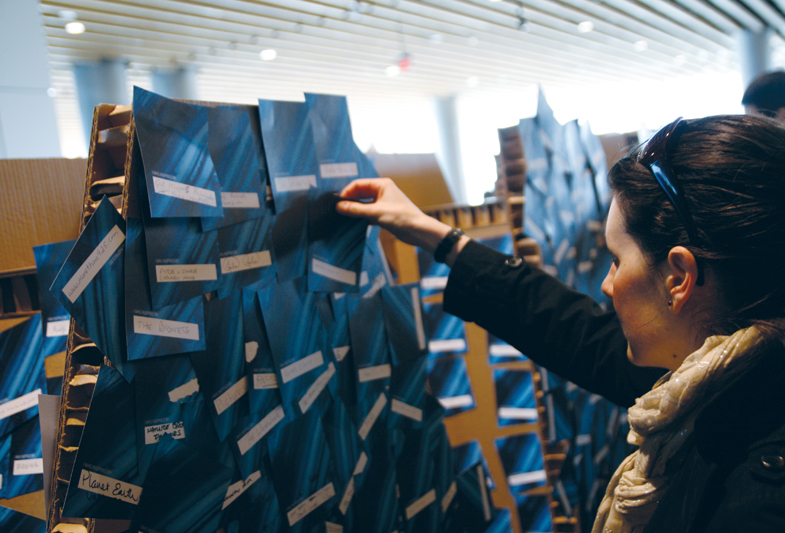 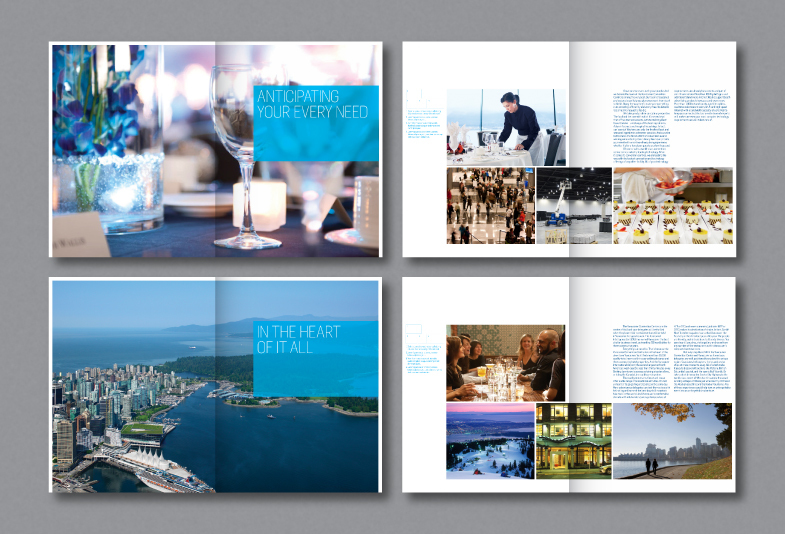 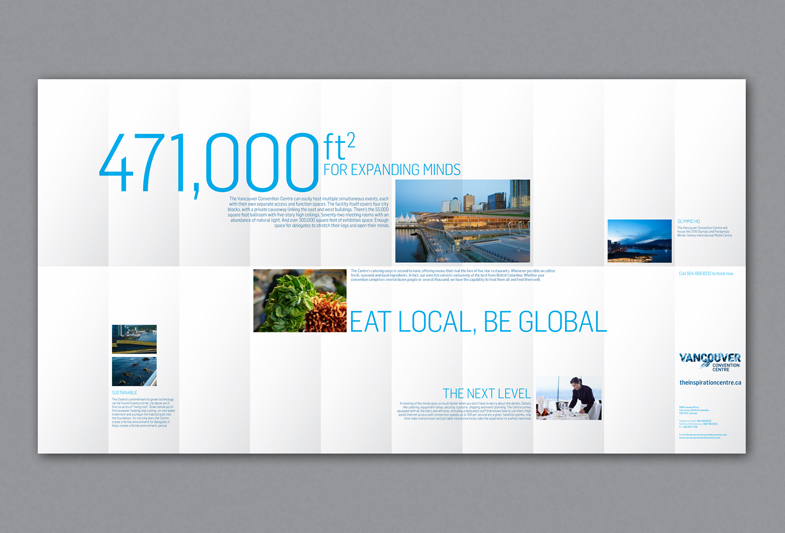 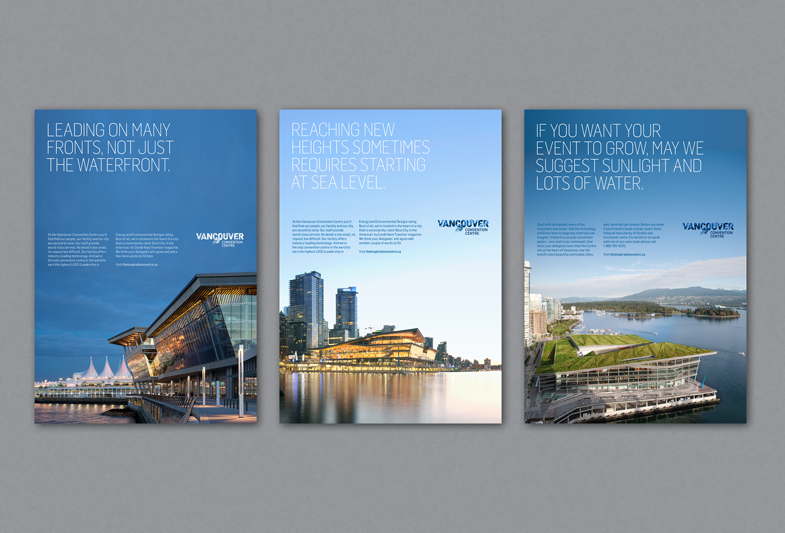 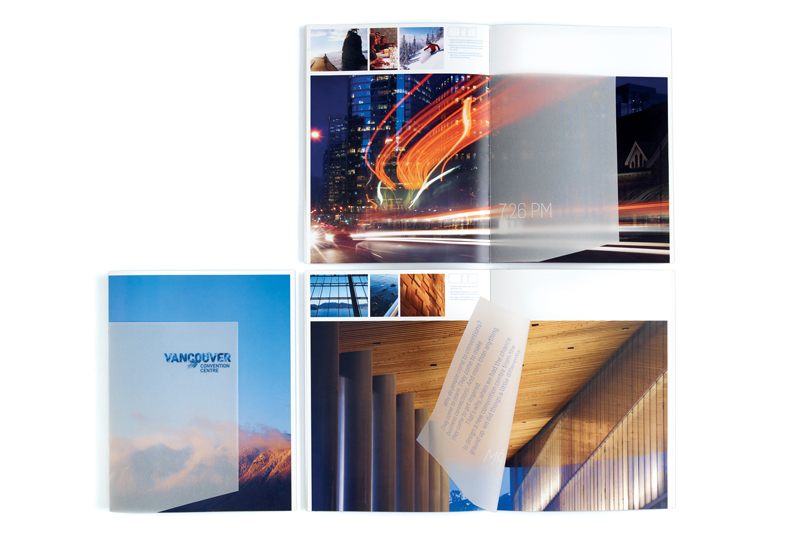 We delivered a brand position and a creative vision that will allow the Vancouver Convention Centre to stand apart from the ‘conventional’ convention centre experience.